journey also well presented by founding members and presidents photographs. 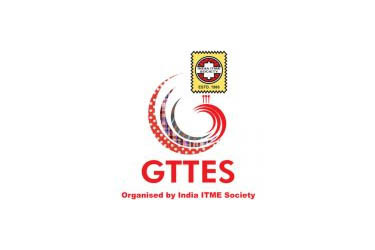 meaningful contribution for the industry in coming years… ! The coffee table book of Itamma is really well made with enough information and images. 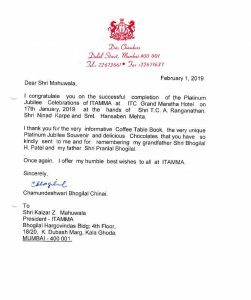 It takes the reader through the journey of Itamma since its inception and mentions the various founders and stalwarts and their contributions towards Itamma ! 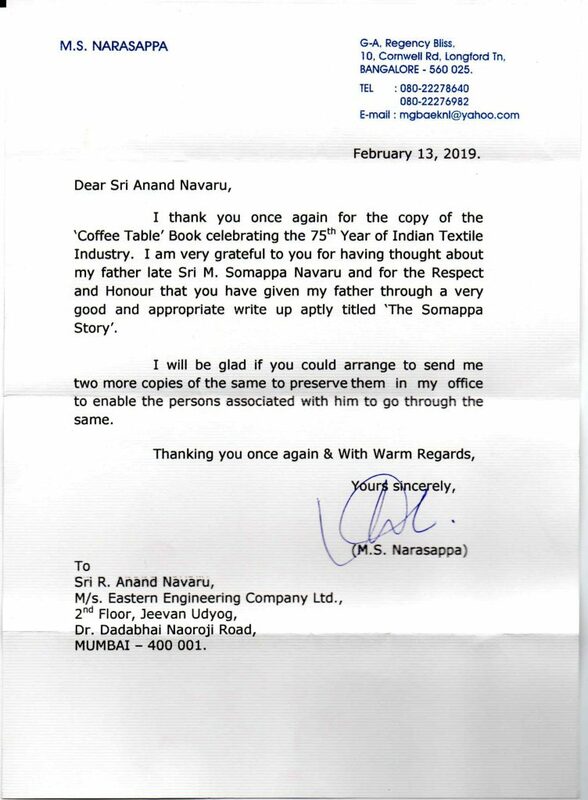 Thank you for sending the Coffee Table Book published by ITAMMA. 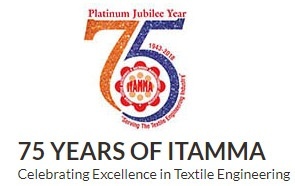 Firstly I wish to Congratulate ITAMMA on reaching the milestone of “Platinum Jubilee”. learning’s more. It was also enlightening to know about the past ITAMMA member’s accomplishments. 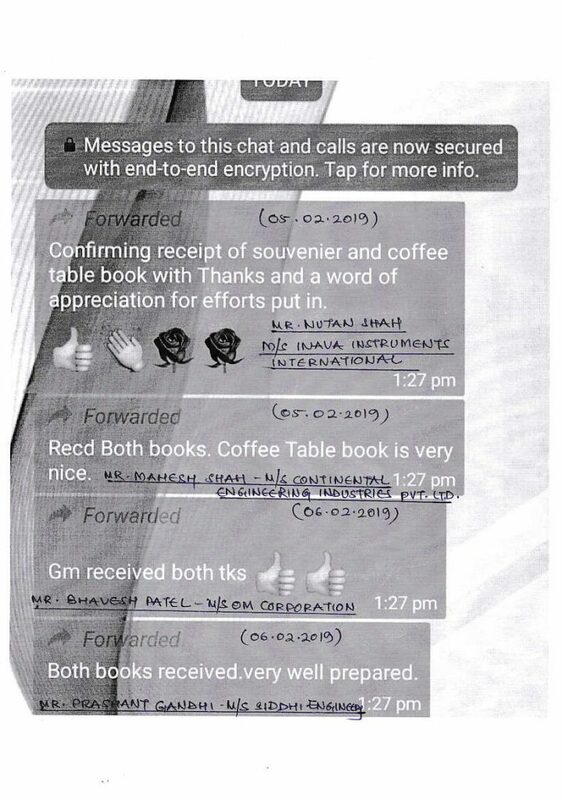 I hope everything is fine with you and you are busy with various activities of your reputed organization. 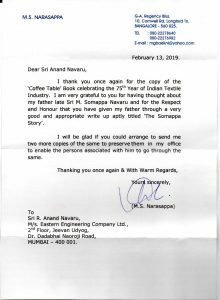 We have received of “A TAPESTRY OF PARTS’; A Chronicle of the Indian textile industry from the makers of its machines” & 75 year Platinum Jubilee Souvenir from your end. Thank you very much for sending to us the esteemed publications. 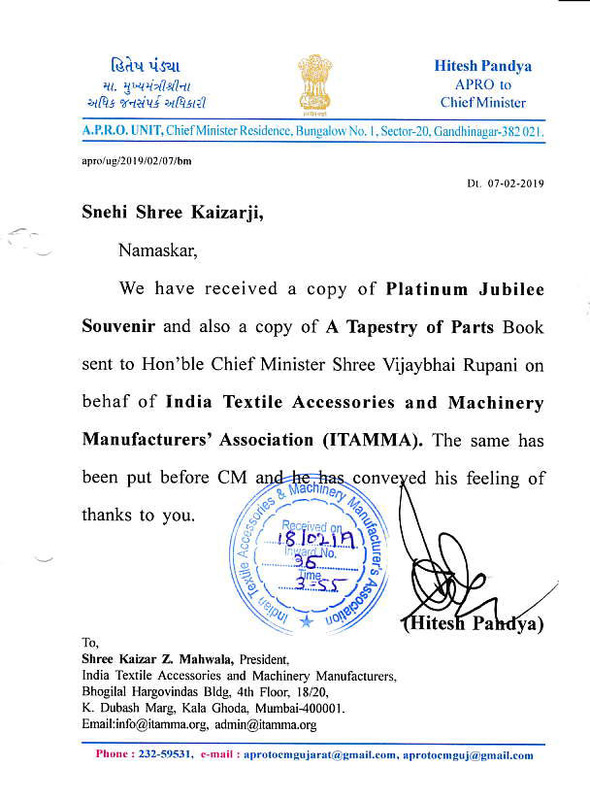 The publication of “A TAPESTRY OF PARTS’; A Chronicle of the Indian textile industry from the makers of its machines” by ITAMMA in their Platinum Year has been a fabulous deed. 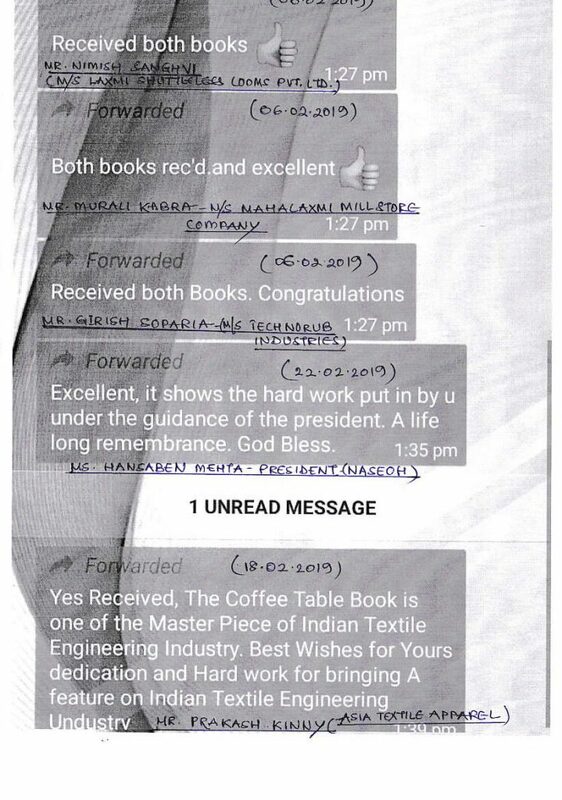 This brochure contains a knowledge trove which evokes readers’ quest of gathering more India’s rich textile heritage. TO, FOR and BY the Global Industries. We would thank for giving us an opportunity to express our views for such an grand ITAMMA. 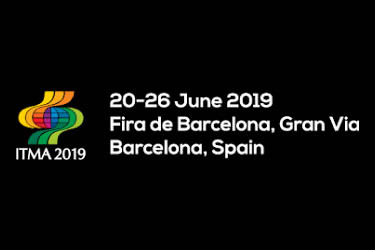 We wish for an everlasting success with ITAMMA Events across the globe. 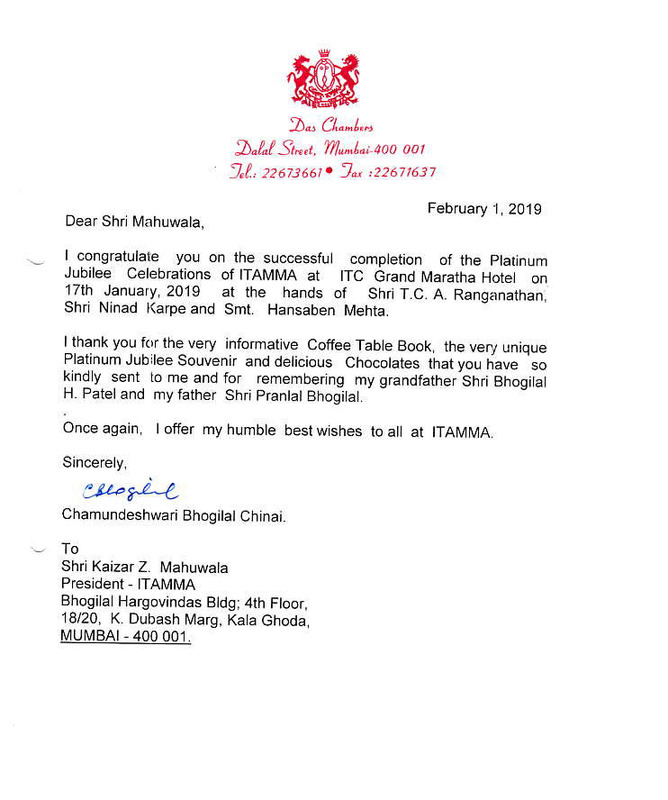 We have received the coffee table book along with ITAMMA Platinum Jubilee Souvenir. 1. 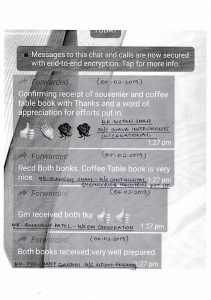 This book’s details of ITAMMA Members list are very useful. 2. The characteristics of Origin, Khadi Hand looms ITAMMA Journey are very interesting to read and also very informative. 3. Member’s accomplishment like Precitex and Gurjar Gravures are in good displaced articles. 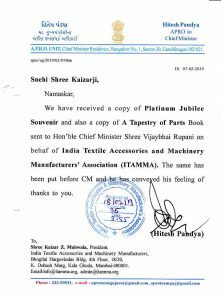 We are very much happy to receive the ITAMMA Prestigious “Make In India” Award from you in the event of ITAMMA Platinum Jubilee celebration at Mumbai. Hope, this finds you in best of your good health and spirit along with your family. A Chronicle of the Indian Textile Industry from the makers of its machines. Grand Success all the times as proved in past. “Thank you so much for the fabulous book. It is a collector’s edition. Wealth of information very tastefully done”. 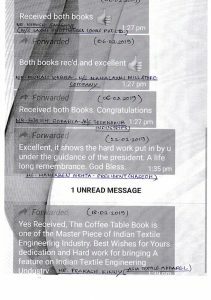 “Last evening I received the courier packet containing the beautiful coffee table book on textile industry. Thank you. Tastefully produced, and containing a fund of rare information, it is a collector’s item. I have no doubt that members of the free library I am running will enjoy reading it as much as I did”.